The relationship between Akothee and her daughters is what many yearn to have with their parents. She’s free with her children and they relate like sisters. She later deleted the comment. 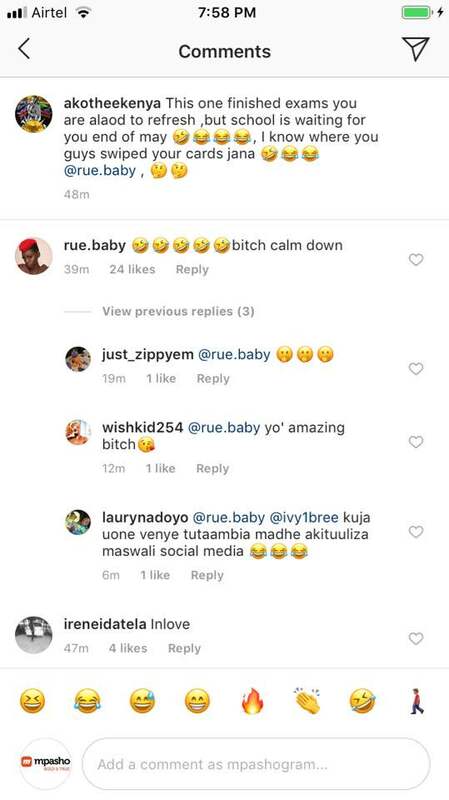 Akothee and her daughter are always supporting each other and we’ve seen them defend one another when it comes to trolls. The singer and her second born daughter Rue, share a lot in common and many refer to her as Akothee’s ‘twin sister’.